EDM on the CCM scene hasn’t really been given a real good attempt. Aside from Capital Kings, no one has really tackled the genre head on and decided to go onto a previously untapped music market. And ever since the disbandment of Capital Kings, fans have been aching for an artist or a band to marry the genres of pop, EDM, worship and CCM into a mesh that is absolutely genius. Look no further everyone, as Switch, from Dream Label Group is here. Essentially the youth band of Life.Church from Edmond, Oklahoma; we are blessed to hear 6 absolute gems, as the band help us reignite the passion in our hearts, delivering us honest worship melodies sung in an up to date, relevant way, with plenty of electronics and synth that we can handle. The result is an EP worth multiple listens, and a band who’s star power is on the rise and will only be higher and higher. “Lifeline” starts off quite oddly for an EDM band- with the acoustic guitar, but the track works well we are presented with plenty of water references and a declaration that ‘…You’ll never leave me, it doesn’t matter what I’m facing, no, and when I’m failing, You’re holding onto me, and I’m holding onto You…’. Solid in delivery and approach, yet a tad lacking lyrically, “Lifeline” isn’t the strongest song on the project, but does enough to whet our appetite for more. That ‘more’ comes in the form of the poppy “Higher And Higher”, as Switch does Hillsong Y&F and Unspoken vibes, in essentially a worship song proclaiming that we will lift Jesus’ name higher and higher just because He is God; while the group also impress in the electronics and synth abound “Close”, a melody that encourages us to keep on with our life, especially during the tough times, as Jesus holds us close at all times. “Heartbeat” musically is a bit bland unfortunately, however the passion here is undeniable, as we are met with an admission that our true purpose can be found in Jesus’ heartbeat aka everything that Jesus longs for is what we should long for and desire as well; but Switch switch it up (no pun intended!) in the experimental “Obsession”, which doesn’t contain your typical verse/chorus/bridge, yet also calling out our obsession with social media, hopefully encouraging us to obsess over Jesus Christ instead. Yet it is the final track “Symphony”, a duet between lead singer Cassidy Estevez and acclaimed rapper Dillon Chase that really grabs my attention. Switch has truly saved their best for last as they combine rap and pop to make something beautiful. As Cassidy imparts to us that ‘…even in the madness, there is peace drowning out the voices all around me, through all of this chaos You are writing a symphony, a symphony…’, we are drawn into a metaphorical journey of musical instruments, of which the lyrics of the bridge need deciphering even after 3 or 4 listens; with the undeniable conclusion that Jesus Christ works all things together for our good, even when we don’t know it and it seems like the opposite. Jesus has His own timing, so let us just trust that the symphony in the end will be beautiful! 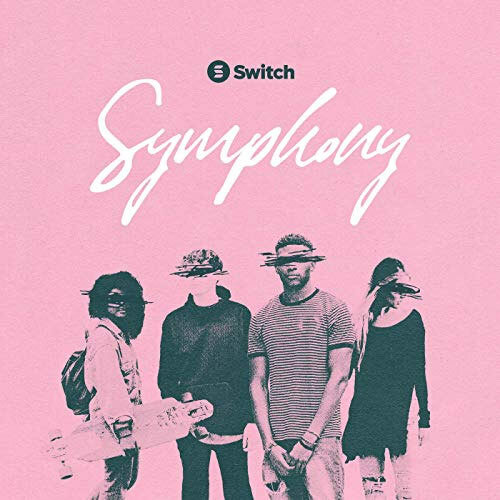 Will Switch take off like other worship bands like Hillsong Worship and Planetshakers? Or will they take off like EDM acts before them like Capital Kings? Time will tell I guess which way they go musically- but one thing is for sure. That these guys are extremely passionate for Jesus and they are unashamed to proclaim the gospel. So let us listen, and remember every single truth that Jesus has said to and over us- and we can claim that for ourselves!